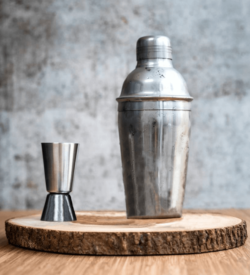 Missing some equipment from your home bar? 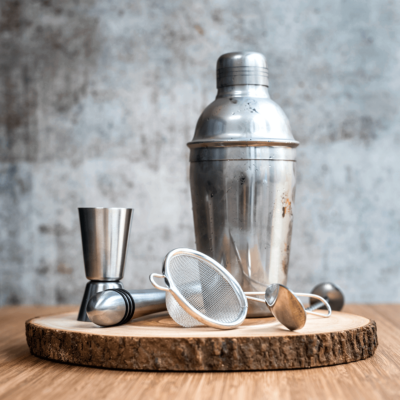 This kit has everything you need to make great cocktails at home. You’ll need this to impress your friends when they come round for drinks. You’ll get a 3-piece cocktail shaker, bar spoon, jigger (50ml/25ml measure), muddler (for smashing the flavour out of ingredients!) 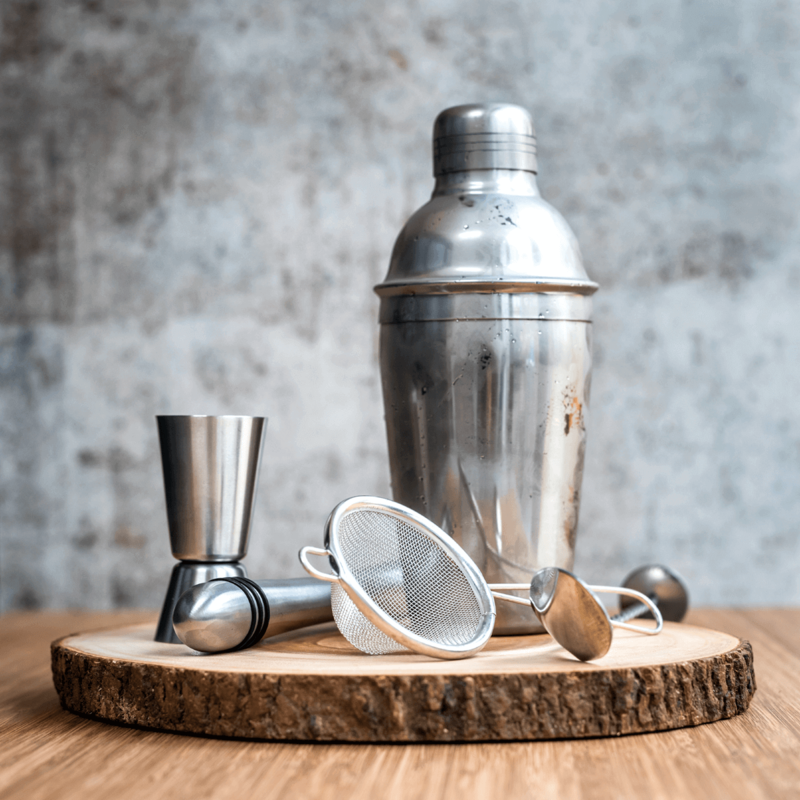 and a double-strainer (for ensuring ice-chip-free pours). 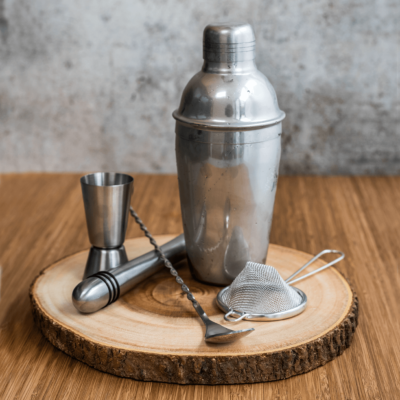 You’ll be fully equipped and ready to make amazing cocktails with this mixologist kit. The equipment is packaged in a sturdy mailing box, and items are wrapped in bubble wrap for transport. Now all you need is some ingredients to get you started! Have a browse of what we have to offer and see what tickles your taste buds. Wooden board in photos, not included.